The program was organized by the University’s International Relations Office, and the English Division of the II Faculty of Medicine. The visit took place on 17th January 2018 and began with a meeting with University officials: Prof. Krzysztof J. Filipiak, Deputy Rector for Internationalization, Promotion and Development; Prof. Bożena Werner, Deputy Dean of the English Division of the II Faculty of Medicine; and Piotr Luliński, PharmD, PhD, Vice Dean for International Relations and Development of the Faculty of Pharmacy. Also present were Ms Lidia Przepióra-Dziewulska, Head of the International Relations Office and Ms. Delfina Święćkowska. 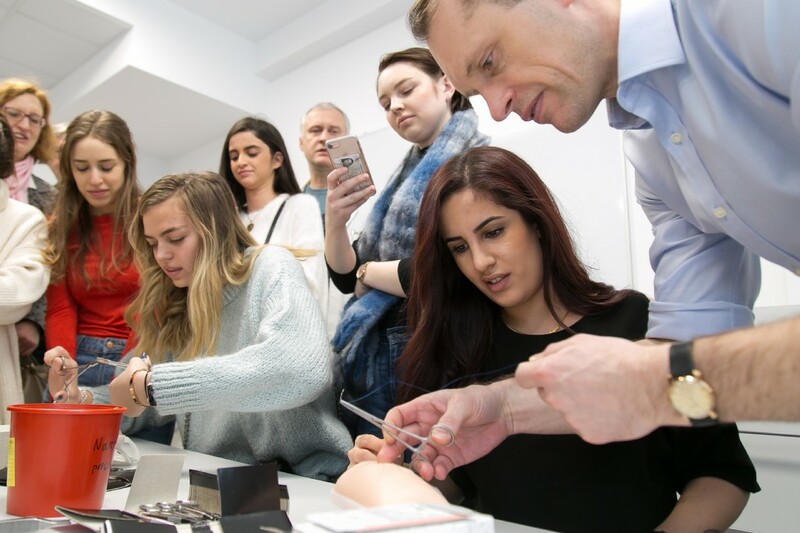 Representing the Dean’s Office were Ms Anna Lazurek and Marta Ołdak-Oliwa, and Ms Justyna Pordzik, a English Division student in her last year of medical studies. The meeting with officials began with welcoming remarks by Prof. Krzysztof J. Filipiak. Prof. Bożena Werner presented in detail the English medical program and the student application process. She also talked about the opportunities in research development, in participating in the Erasmus program, and the possibilities to complete certain courses abroad. Prof. Werner also told her audience about the variety of activities available to students and about the achievements of students of the English Division, like Ms. Justyna Pordzik, who is the president of the English Division Student Government and recipient of the University’s Diamond Grant. Ms. Pordzik spoke about her experience at the Medical University of Warsaw. Following the presentations, the University officials opened the floor for discussion and students asked questions about the way the English medical program was structured, about tuition fees, the cost of living, and about practical training and - preparatory courses for the exams for licence. After the meeting with the University officials, our visitors were given a guided tour of the Public Pediatric Clinical Hospital. Ms Marzena Kostera – Ostrowska, M.A. showed them the newest modern equipment in the Department of Radiology, the hospital’s state-of-the-art hybrid operating room where children’s heart defects are treated, the electrophysiology and ablation lab, as well as, the intensive care unit. 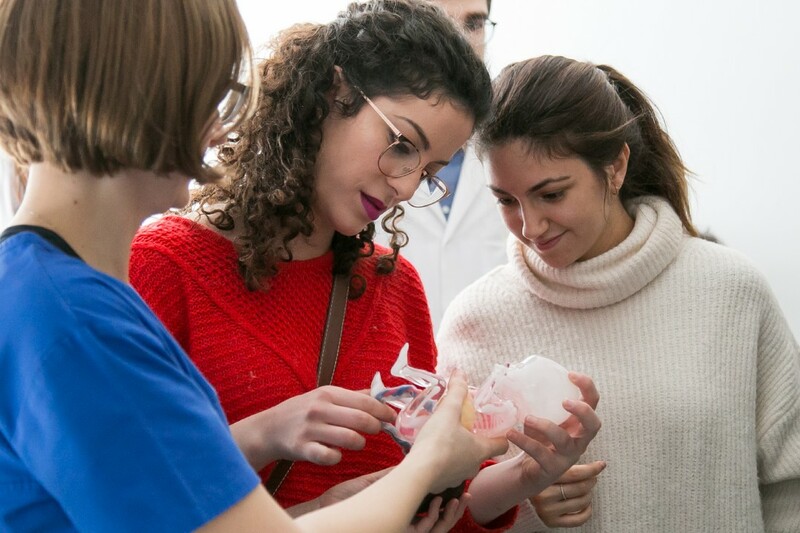 Next, the students toured the University’s Main Library, Didactic Centre , Centre for Sport and Rehabilitation, and Centre for Preclinical Research and Technology (CePT). 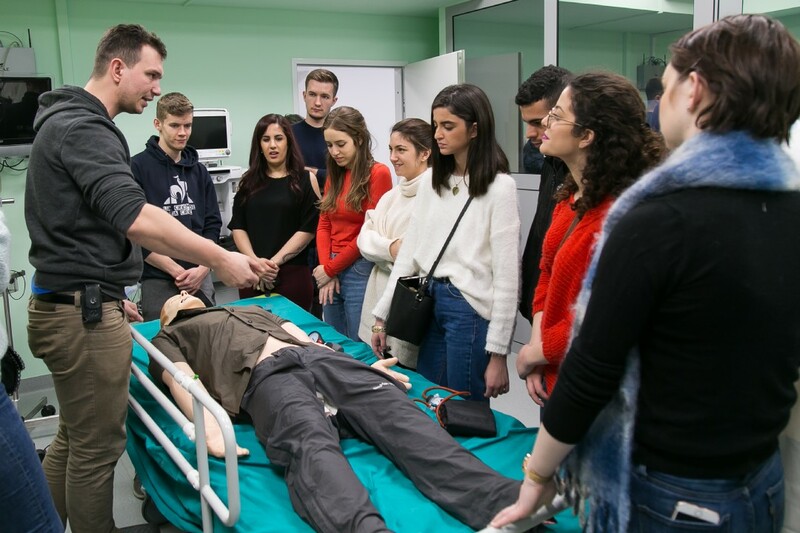 At the Medical Simulation Centre, students got to observe the practical training that was being conducted. Dr. Piotr Luliński gave a guided tour of the Faculty of Pharmacy which also offers studies in English. The last element of the tour program was a trip by tram to the international student dorm.